#ALD12 Ayah Bdeir’s Advice to Entrepreneurs – Don’t Give Up! @findingada « Adafruit Industries – Makers, hackers, artists, designers and engineers! Ayah (from littleBits) gives an inspiring interview with Entrepreneur Levant at the SHARE Beirut Conference, encouraging entrepreneurs to follow their passion and never give up. After the Media Lab (and a brief stint in Finance), Ayah got a fellowship and senior fellowship at Eyebeam Art+Technology center. 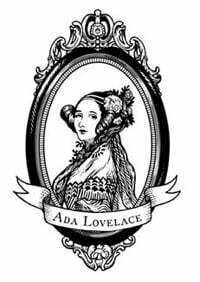 She taught graduate classes at NYU and Parsons and taught numerous workshops to get non-engineers, and particularly young girls, interested in science and technology. Bdeir was a mentor in the regional reality tv-show Stars of Science (initiated by Qatar Foundation) promoting science and technology innovation in the Middle East. In 2010, Bdeir was granted a fellowship with Creative Commons in recognition of her work, including spearheading the first Open Hardware definition and co-chairing the Open Hardware Summit at the New York Hall of Science in September of 2010 and 2011. Just recently, Bdeir was awarded the highly prestigious TED fellowship, as one of 25 innovators in 2012 from around the world. Bdeir is also the founder of Karaj, Beirut’s lab for experimental art, architecture and technology. Ayah lives and works in New York.